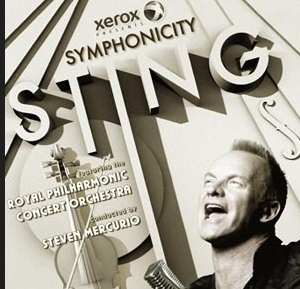 We are pleased to announce Sting, accompanied by the Royal Philharmonic Concert Orchestra as conducted by Maestro Steven Mercurio, has added dates at Dublin's O2 Arena on October 7 and a second night at Copenhagen's Royal Theatre on September 6. The Dublin show will go on public sale on Friday, June 11 and on presale to Sting.com members on Wednesday, June 9 at 10am (Legacy members) and 11am (all members). In addition there will be an American Express presale for Dublin - from a separate allotment of tickets to the fan club - commencing on Monday, June 7 at 10am. The Copenhagen show will go on public sale on Tuesday, June 8 and on presale to Sting.com members on Friday, June 4 at 10am (Legacy members) and 11am (all members). Please consult the below schedule for information. Legacy Fan Club members will have a one hour advance window when Fan Club sales begin, after which the sales will open up to all members.